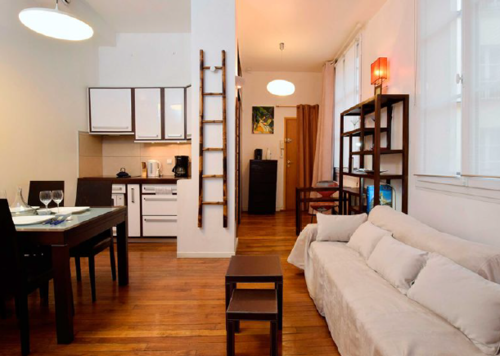 This charming apartment has everything you might need for your stay. 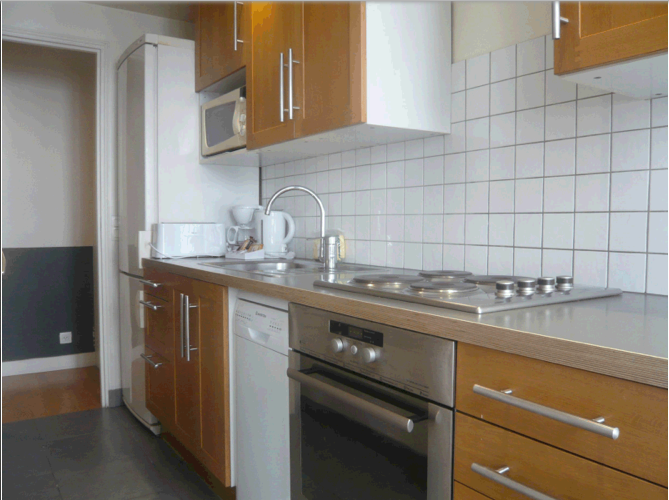 Fully-equipped, it is also tastefully decorated. 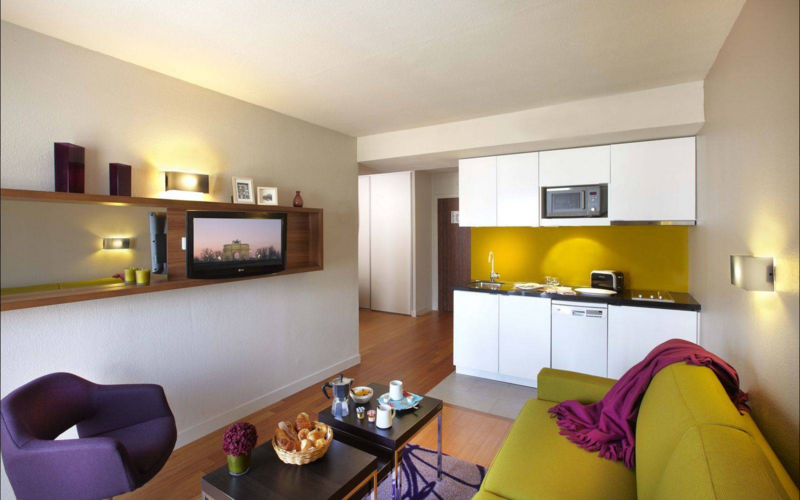 Located in the Châtelet-les-Halles neighborhood, it is ideally located in a very accessible vibrant area. 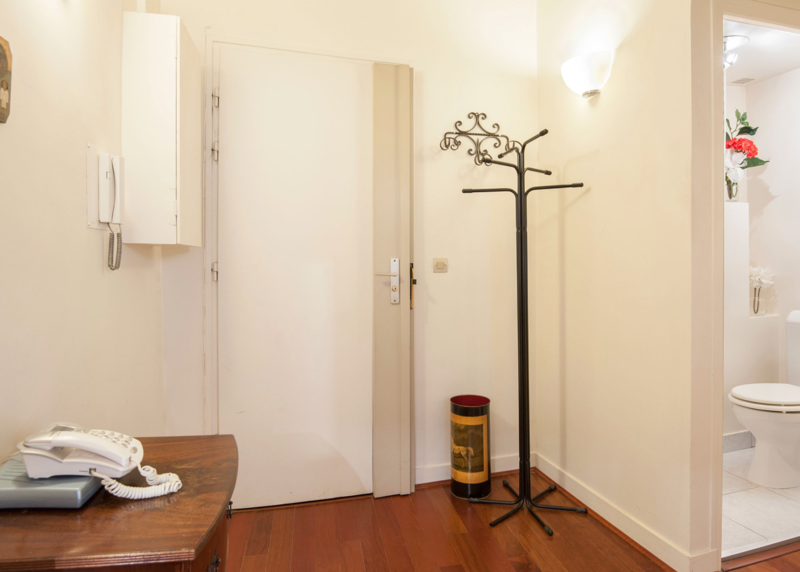 The 45 sq.m flat is located on the 1st floor of an old building typical of Paris' central areas, directly accessible by the elevator. It overlooks a one-way street. 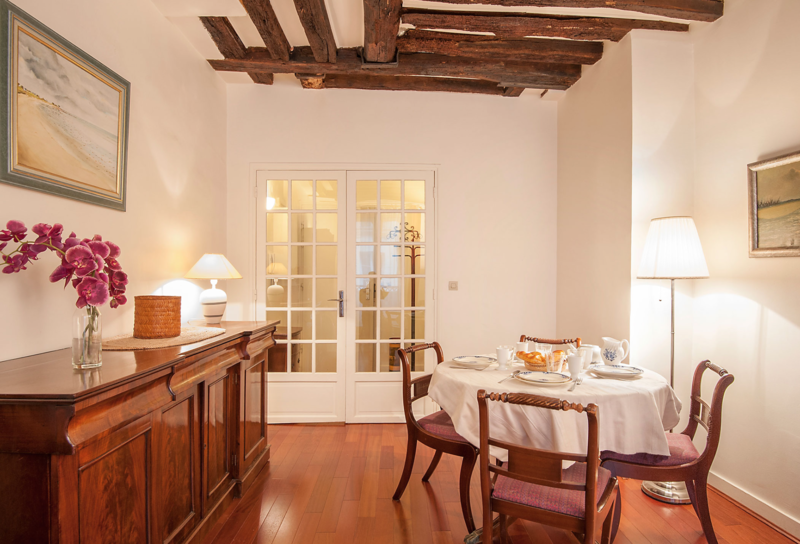 This one bedroom apartment offers a traditional style. 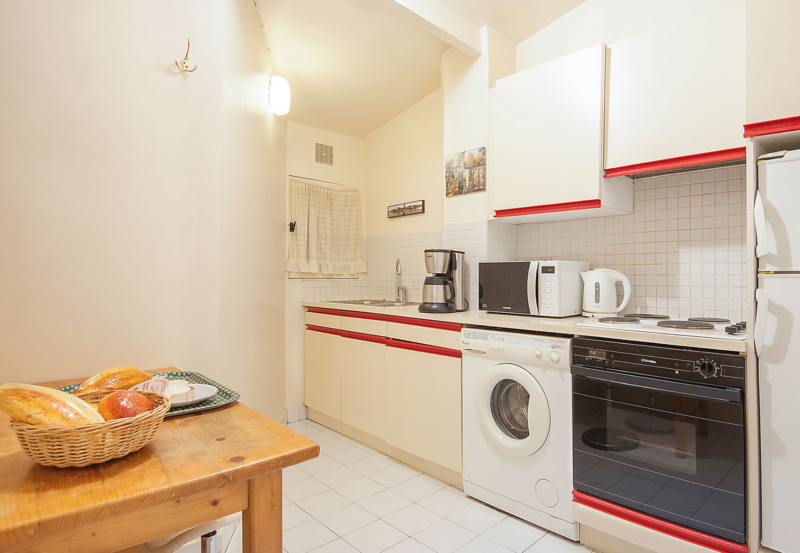 The entrance leads to most of the rooms: the separated toilets, the kitchen equipped with a fridge, an oven, a microwave, a washing machine, a table and the living/dining room. 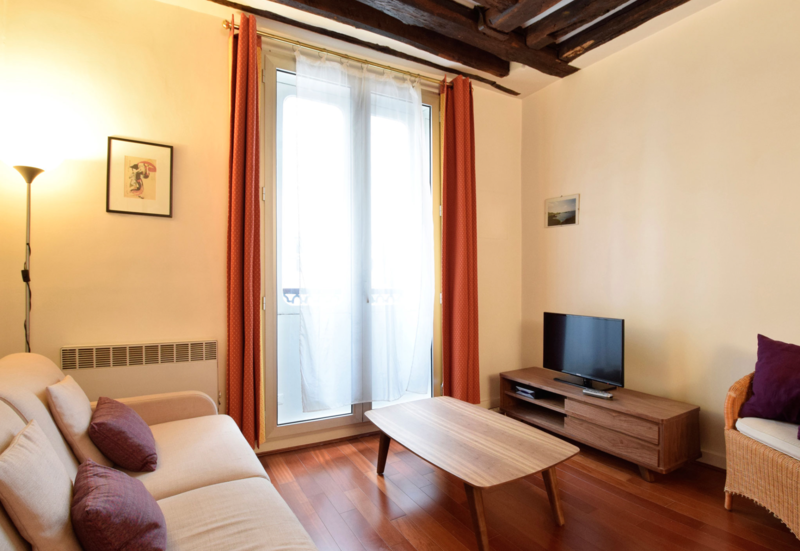 The living room is separated by an elegant glazed door and is furnished with a 140 cm sofa bed, a flat screen TV, a dresser and a dining table. 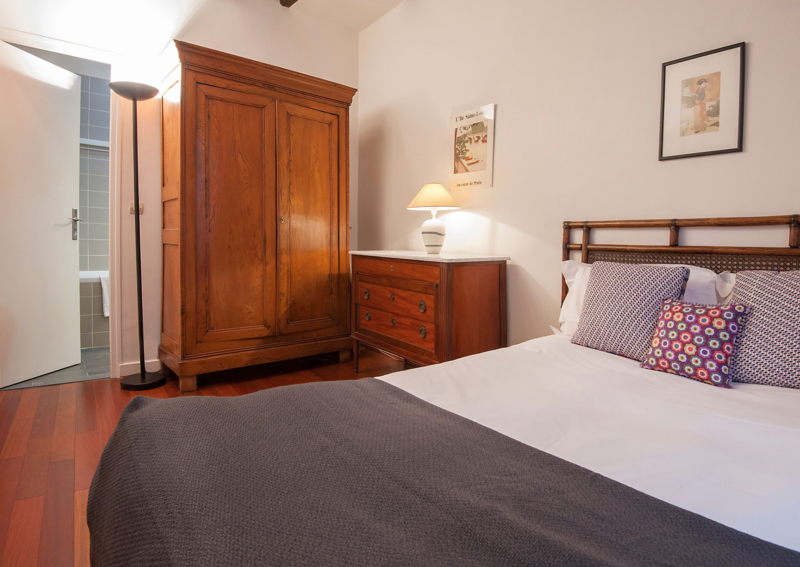 Adjoining to the living room, the bedroom has a 140 cm double bed, a chest of drawers and a closet. 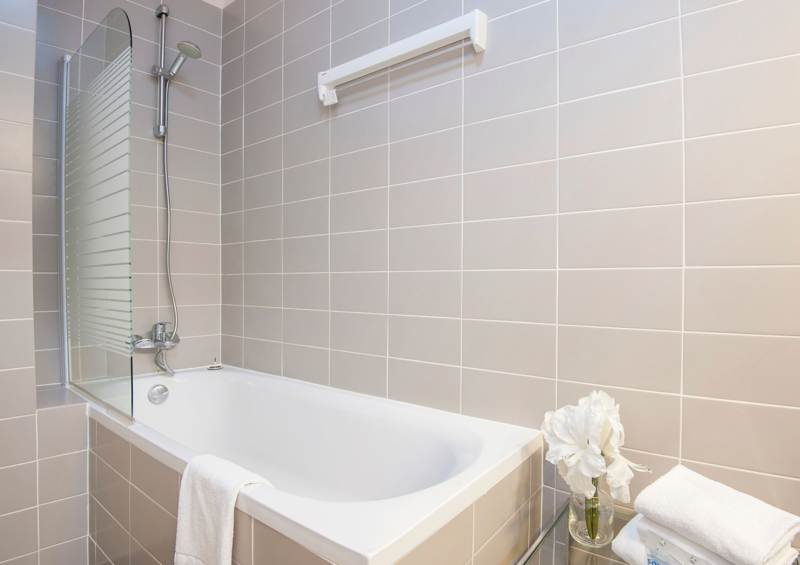 The bathroom, equipped with a bathtub and 2 sinks, is accesible from the bedroom.